These picture frames can easily become the focal point in any room! 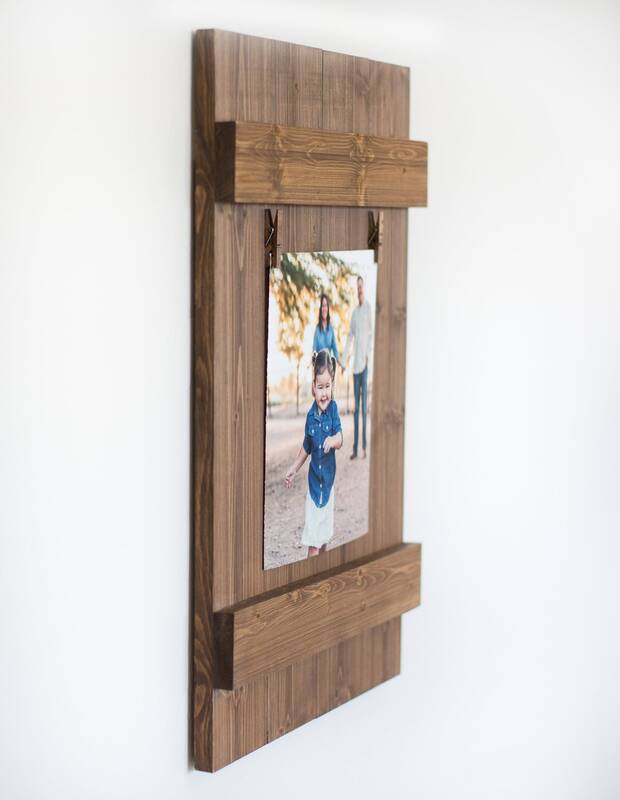 Such a beautiful and rustic way to display you and your loved ones' memorable photos and/or your favorite print! Attached, are clothespins for hanging your photographs! Such a neat rustic look, AND it makes switching out pictures, a breeze! These are made to hang 8x10 photos or artwork. 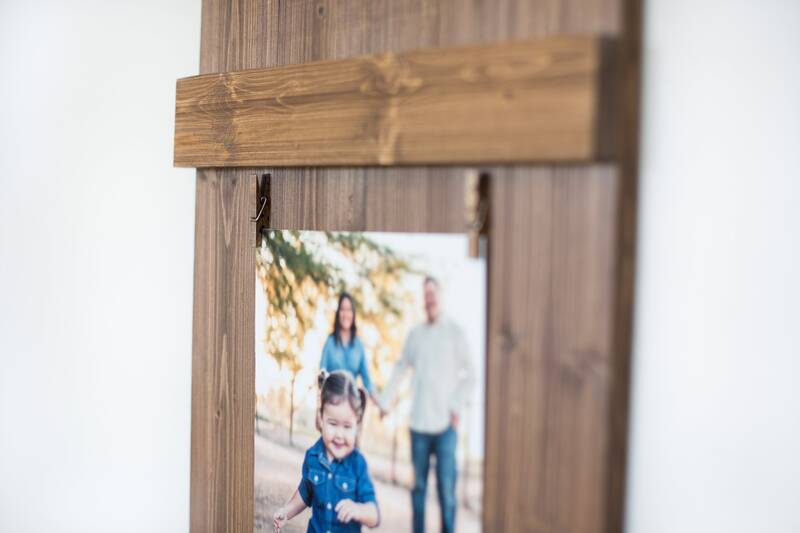 They allow 8x10 photos to hang horizontally or vertically as well. Q: What are the dimensions of the entire frame? A: Length: 22" Width: 14" Depth: 2"
Q: What size print are these frames made for? 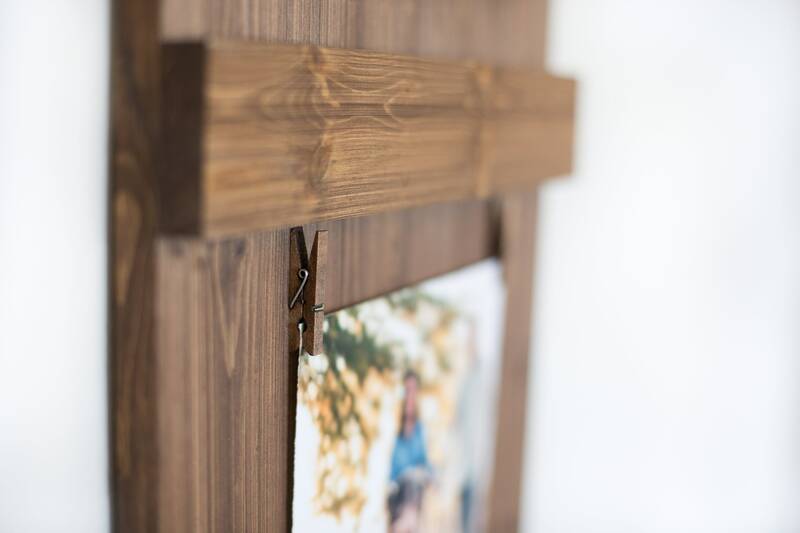 A: These frames are made to hang 8x10 photos or artwork. 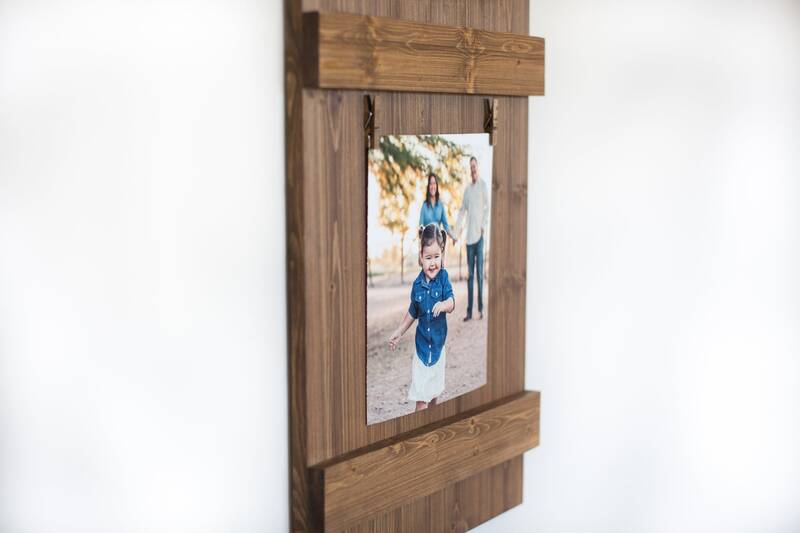 They allow 8x10 photos to hang horizontally or vertically! 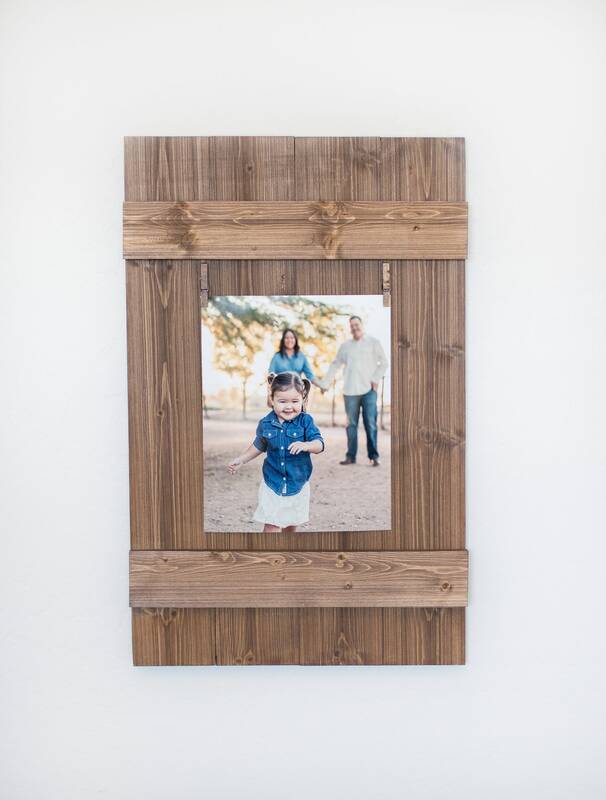 Q: How do these frames mount on the wall? 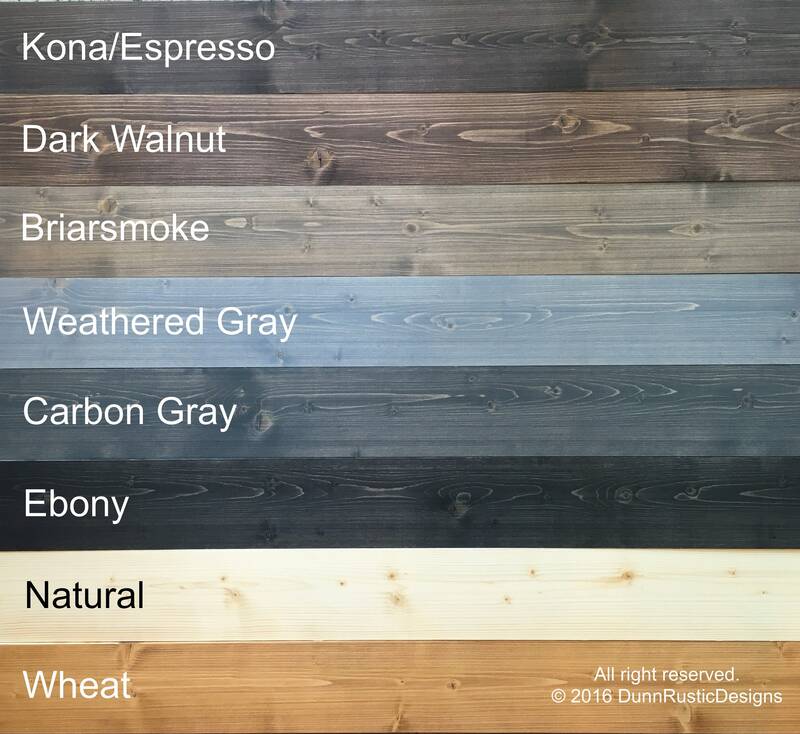 Q: Is the burlap print included? A: No. I had made this print for our personal use. However, there are many wonderful shops on Etsy that sell great burlap prints!